To complete a more in-depth Parenting Mission Statement, you and/or your partner can set aside some time, perhaps a Sunday morning, when you can answer the following questions and then blend them into a mission statement that feels right to you. Nothing is carved in stone. You can add, delete, and modify your statement as time progresses. I personally take some time on January first each year to go over my mission statements and change them appropriately. When you finish, you will have a paragraph or phrase that represents your most deeply held principles. Answer the questions as honestly as you can, and follow the directions to complete a Parenting Mission Statement that will guide you through the coming years. 1. Were there times in your childhood or adolescence when you thought, “I will never treat my children that way?” If so, write about these experiences. 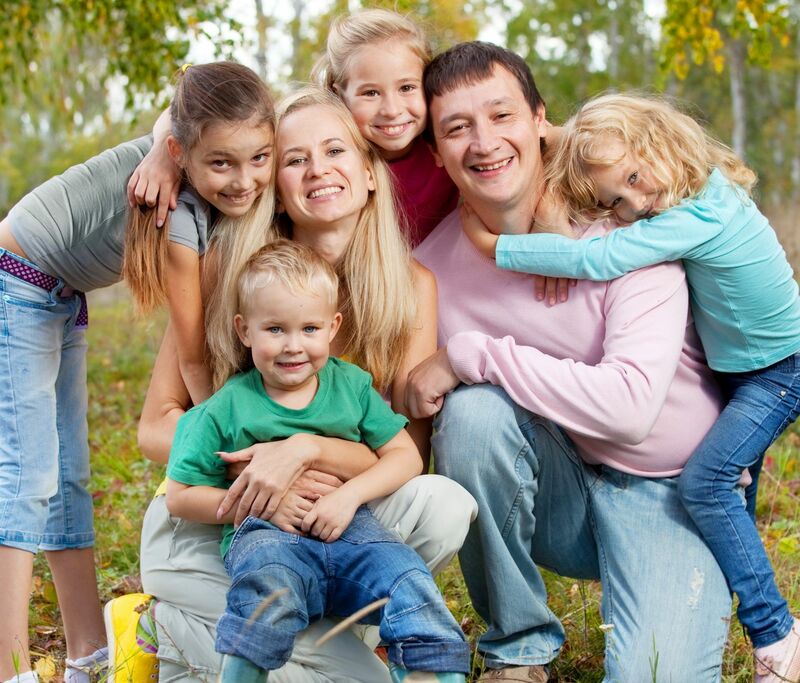 What aspects of your mother’s and/or father’s parenting style do you think were counterproductive? It was counterproductive for her to hold all that stress inside until it exploded on her children. Hitting may have relieved her immediate stress but ultimately it created deep resentment in me, and she must have felt guilty, which stressed her even more. It would have been more productive for her to sit down with me and tell me how she was feeling, why she needed my help, and request the kind of cooperation she needed. It also would have helped me feel more responsible and closer to her if she apologized after losing her temper instead of blaming me. 2. Think of the times you felt close to your parent(s), or when you felt admiration for them and write about these experiences. I admired my mother for her sense of responsibility and her ability to sacrifice for her children. She always made sure that holidays were celebrated with all the magic she could muster, regardless of how little money we had. I felt close to her when she spent time one-on-one with me, during our annual shopping day for school clothes. She took me out to lunch at a fancy restaurant, and I felt very special. I also felt good when she gave me good feedback about myself, noticed when I did something well, and attended functions that were important to me. 3. Now sit with your list for a while. Is anything missing? Think of other people you admire as parents. What do you admire most about them? If, as a child, you had been able to have anything you wanted from your parents, what would that be? Write down your answers to these questions. If you come up with tangibles such as more physical affection or a room of your own or a pet, think about what these things represent to you (love, respect, trust). I wish I’d had more one-on one time with my mother. I wish she had helped me more, especially when I was a teenager, to learn how to be an adult. For example, I wish she had helped learn how to balance a checkbook and take care of a car. I wish she had been more open about her own experiences growing up and that we could have had conversations about issues like sexuality and politics, rather than one-way lectures. I wish she had shown me more physical affection. I wish my mother had been able to request and elicit cooperation rather than demand obedience. The families I admire most talk a lot with each other, and they joke and tease a lot; there is laughter in the house and a feeling of warmth and welcome. My house growing up, because of our financial situation and other problems, was pretty tense. I wouldn’t want that for my children. 4. Go back to your list of words or phrases from questions 1 and 2 that represent your values and the qualities you want to have as parents. Add the concepts you came up with from question 3. If a word or phrase from question 3 is basically the same as one of the original words, or if you feel deeply about something, underline it. 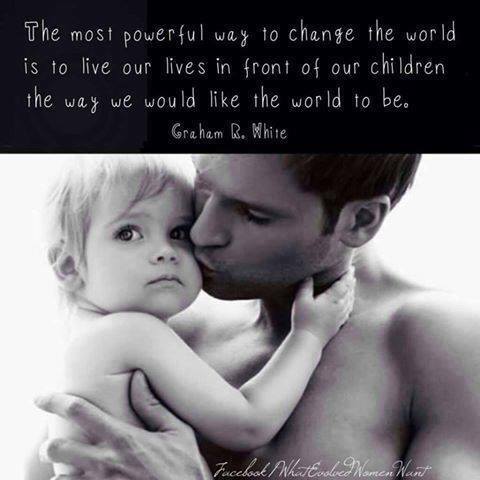 I love my children unconditionally and I demonstrate that love to them every day in words and actions. I allow them to discover and learn by themselves and through play. I tell them I love them every day, and let them know I love them even when I am angry or disappointed or disagree with them. I respect my children and demonstrate respect in my words and actions. I allow them freedom of choice and respect their choices even when they are different from what I would choose. I am honest and open with my children, appropriately sharing with them my struggles and requesting their understanding and help when I need it. I continually seek out information about good parenting skills and improve myself as a parent every day. I admit my errors and make amends, and I allow my children to make mistakes and learn how to apologize and correct themselves. I find peaceable ways to discipline my children, never resorting to physical or verbal violence. I listen carefully to them and treat their concerns with the same respect I want for myself. 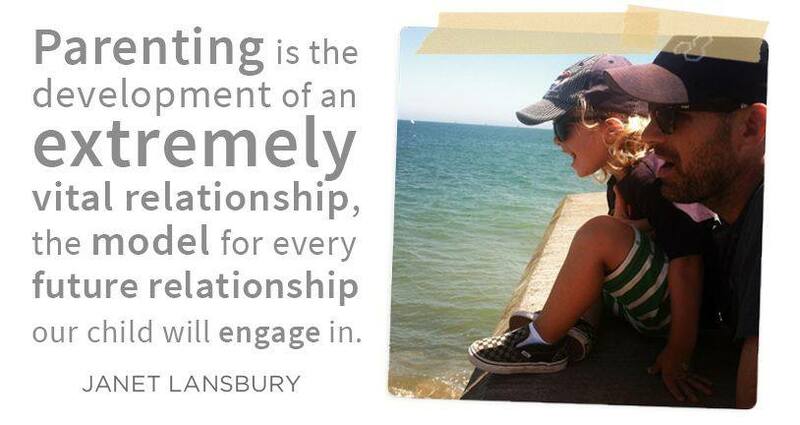 I spend time with each child and encourage each child appropriately according to his or her needs. I take care of myself and my own needs so that I have positive energy to give to my children. I demonstrate the values I teach, knowing that my children learn primarily by my example and that the combination of my words and actions are what teaches them how to be a person of integrity. I create activities that help my children learn about positive sacrifice, serving their community and the world. As they grow into adulthood, I teach them the important skills required of an adult. I provide my children with deep roots in home and family, and wings to fly away into new experiences, knowing that love will always bring them home again. A mission statement isn’t just a collection of idealistic phrases. It is a compass, a way to keep yourself on course as you handle all the variables of daily life. When you read your mission statement, it should make you smile and feel energized and inspired about the future. Some people develop lengthy mission statements such as the previous example; others need only an anagram or a sentence or two. Take time with this project, if it catches your imagination, and dig as deeply as you can into your soul to find your true purpose as a parent. You may want to revise and rewrite portions of your mission statement as you learn more about parenting. I wish you joy on this incredible journey. It began with an act of love. With consciousness and some deep internal work, you can create a beautiful family whose love continues in forever-expanding circles, touching our communities and even healing the world. Whether you are a new or expecting parent, or if you have older children, you can make a Parenting Mission Statement to guide you through the future. Before putting your deeply held principles to work, it is important to know what you are trying to achieve. In The Seven Habits of Highly EffectivePeople, Stephen Covey says,”Begin with the end in mind.” Everything we do begins in the mind. First we create a mental picture, then the physical manifestation follows. The more clearly we can define our goal, the more quickly and accurately we can reach it. We are often caught up in the busy hustle of everyday life, reacting to everything that comes our way. We react automatically, based on what we have internalized — the “blueprint” of information we have from our life experiences. Parents are often surprised to hear themselves sounding exactly like their own parents. These internalized scripts are usually ineffective, sometimes outright destructive. Many people just go along reacting to everything in this way, not examining their blueprints and creating something new for themselves — and then they wonder why their children are disrespectful, sullen, and rebellious. Children are experts at detecting hypocrisy. They know, even if on a subconscious level, when you are parroting sermons rather than communicating what you deeply feel and believe; in this way, they lose respect for you. They also know if you respect them. 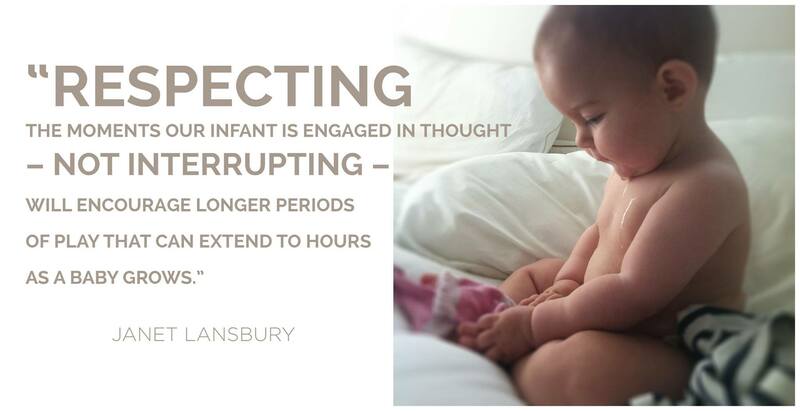 In over thirty-five years of working with babies and parents, it has become very clear to me that even infants know if their parents respect them or not. Babies invariably become fussy and irritable when their caregivers are doing the right things but their minds are a million miles away. Nobody likes to be treated like an object. Becoming aware of our deeply held principles and committing ourselves to living congruently with them is the means by which we realize our mission as parents. “Mission” may sound very big. But what is bigger than being a parent? What job or role is more important? What has a more direct and intimate affect on society, or creates a greater legacy for generations to come? When we think of parenting in terms of “mission,” we begin to give this part of our lives the respect it deserves. For good or ill, you learned most about being a parent from your own parents’ example. 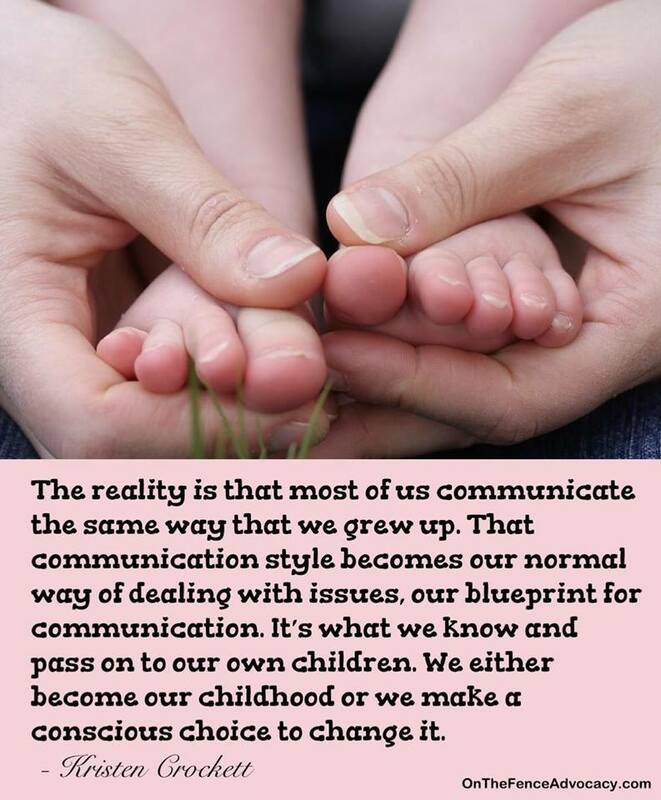 Bringing both the positive and negative sides of these childhood experiences out into the open can help you clarify what you want and what you do not want. Sometimes we need to start with what we do not want, and this will show us the way to what we want. Being congruent with what we deeply want is the best insurance for happiness and success. Being what we admire in others engenders high self-esteem, perseverance through hard times, and joy for living — all important qualities to model for our children. Completing the following short version can help you write a paragraph, a sentence, or even a few words that will express the values you feel are most important to you as a parent. Your Parenting Mission Statement is your compass that guides you through the beautiful, messy, amazing, turbulent, and — always — worthwhile waters of parenthood. The following exercises can help you clarify which aspects of your mission as a parent are most important to you. Set aside some time to complete them and commit yourself to total honesty. I have included, with permission, the responses of a friend who completed the exercise for me. Imagine that your children are grown and they have become successful, happy, and famous. They are interviewed for television and asked, “How did your parents contribute to your success and happiness?” What do you want them to say? I want my children to say that their parents supported them in every way. I want them to say we taught them values of integrity and responsibility, that they were loved unconditionally, and that their parents’ values and sacrifices made it possible for them to succeed. I want them to smile when they think of us. I want to see their love and respect for us shining in their eyes. Now distill this into a paragraph, a sentence, or a few words that reflect, in present tense, from your point of view, what you want to be as a parent. I support my children in every way to find their dreams and achieve them. I teach them integrity and responsibility by modeling these values in my own life. I love them unconditionally, and I make sure they know that every day. I am willing to sacrifice, if necessary, so that my children may succeed. I earn my children’s respect by being a good role model for them to follow.